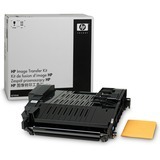 The HP Q7504A Image Transfer Kit ensures optimal print quality. It's easy, when your printer prompts you that it needs maintenance, you simply pull out the kit and replace parts as needed. Keep your HP color laserjet CP4005 or 4700 series printer up and running smoothly with the HP Q7504A Image Transfer Kit today!